Pakistan and South Africa will be playing 4th ODI On Friday 8th November 2013 In Abu Dhabi. 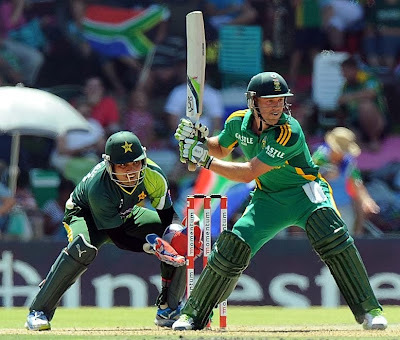 after three matches South Africa is having 2-1 lead against the Pakistan which means Pakistan will have to win both the remaining ODIs to win the series and even one defeat will result in South Africa's victory of ODI series. In third ODI Pakistan's batting line once again flopped while chasing the target of 260 and got out on just 191 runs. In all three ODIs Pakistan's Batsmen has performed poorly specially while chasing the target. according to former Pakistan Captain Wasim Akram Toss will be really Important in 4th ODI and if Pakistan won the toss and decided to bat first then it has high chances of win but if Pakistan got a target to chase then it will be difficult to win. he also said that Pakistani team has forgotten how to chase a target. they don't play with a proper planning and strong mind. 4th ODI will be played on same ground where 3rd ODI was played which means conditions will be good for batting. Pakistani bowlers have performed superbly so far but Batsmen and fielders have disappointed. good performance in all three department is necessary if Pakistan has to win the last two ODIs.